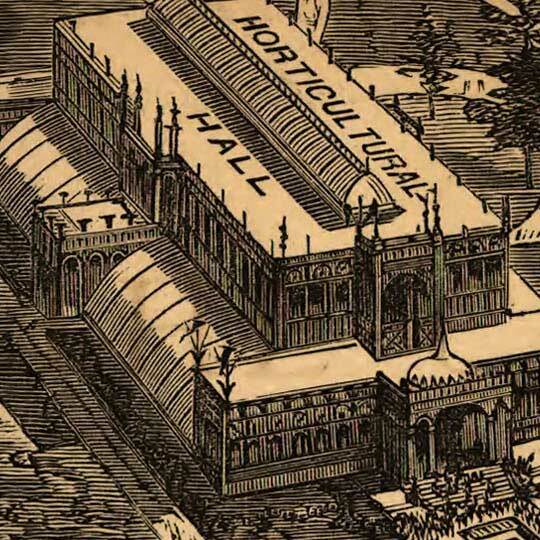 Newell and Davis' birdseye map of the Centennial Exhibition at Philadelphia in 1876. This map isn't part of any series, but we have other Pennsylvania maps that you might want to check out. 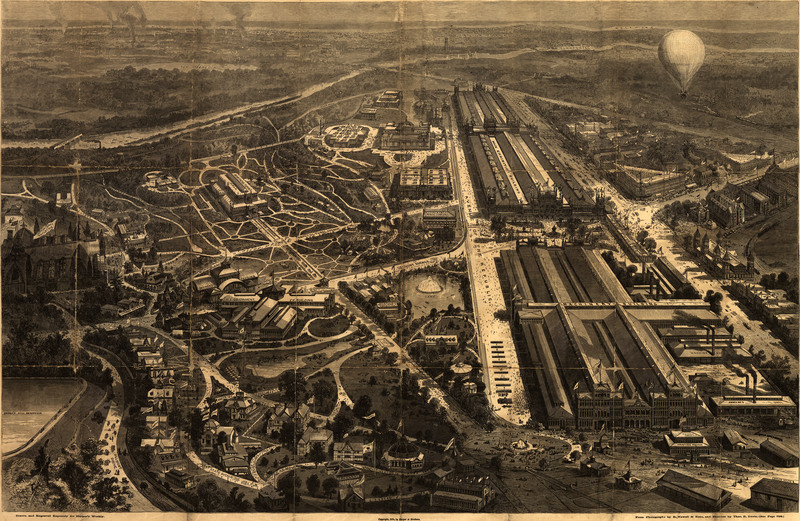 This map of Philadelphia's Centennial Exposition [gmap] was for made by R. Newell and T.R. Davis for the periodical Harpers Weekly in 1876. I read that the Centennial Exposition was the ”First official World's Fair held in the United States” but I'll confess to not knowing what would make one World's Fair “official” and another “unofficial”... and somehow I doubt that the process involves rounding up Yanomami tribesmen in the Amazon and gathering their opinion. Well, apparently this thing in Philadelphia was a great success... but if you'll excuse me, I'm from a town that had a little World's Fair of its own and I'm not bragging or anything but that one was the one where everything got invented and for the first time in history the World trembled before the charm and audacity of a single city. I mean, I'm sure this one was cool, too, but did they make a Judy Garland musical about it? No? Well, I'm sure you'll have another crack at it at some point. For more maps and images from this period in the region's history, visit the Historical Society of Pennsylvania.